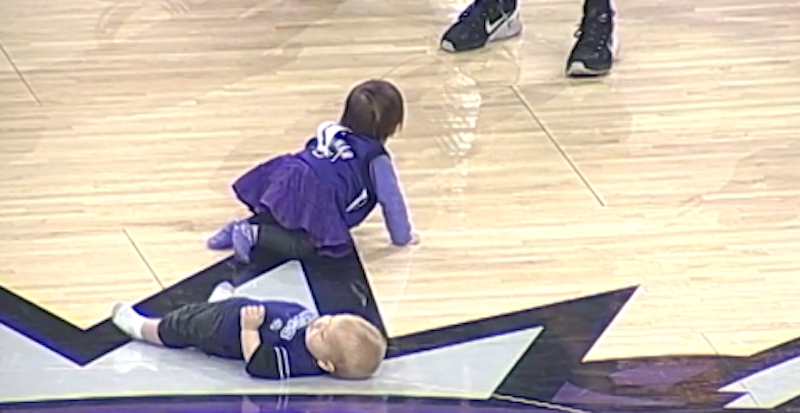 The Sacramento Kings treated fans to a baby race during halftime of yesterday’s game, and oh man did those babies shame themselves. The only baby with any real motor is the winner, who cried through the pain and scrapped her way to a victory. That’s called respecting the damn game.